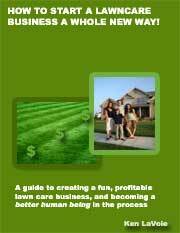 In the lawn care business there are two ways to acquire new accounts to service and profit from. The first and more obvious way is to acquire your own customers via your marketing efforts. The alternative way is to purchase accounts from other lawn care businesses. Buying accounts can be a risky move though and it can be hard to decide on a fair price. You must do your due diligence if you hope to profit from such a deal. The following article sets out some points that you should consider when dealing with other lawn care companies on this issue. Why do Lawn Care Business Owners Sell Accounts? Honest lawn care business operators often want to sell lawn care accounts if they are too busy, if they have clients that don't fit in with their routing, if they are closing their business or if they need a little extra cash. If you can't pick up some work through friends and associates then where are your first few lawn jobs going to come from? Why not consider buying lawn care accounts from other companies? You don't have to buy a whole business but rather you can just buy ten or twelve accounts off another lawn service to get you started. Buying lawn care accounts can also be a good move for those who are already well established with their businesses and are looking to expand. When making the decision to buy accounts off other businesses it helps if you are first able to calculate your customer acquisition costs. If you have been in business for a while you will know how much you have to spend on advertising or other marketing methods to gain each new customer. If your marketing is effective then it may work out cheaper for you to simply spend money on acquiring your own new customers. However if you are new to the business or are not particularly efficient with your marketing then buying accounts may work out to be the more cost effective option. Many lawn care business owners will tell you that you are better to simply do your own marketing. However, by ignoring the opportunity to purchase accounts you may be missing out on some real bargains. 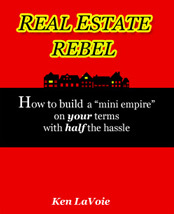 Sellers are often desperate to sell as they have debts to pay or have to suddenly pack up and move to a different city. The best approach, if your budget permits it is to go ahead with your regular marketing activities while still keeping your eyes and ears open for juicy account buying opportunities. A few savvy purchases can allow you to grow your routes really fast. It is important to be realistic about assessing the value of an account. An account that you have purchased is worth nowhere near as much as a customer that you have spent time developing a relationship with. You may be picking up an account that pays $180 a month but don't forget that you still have to put in the work to get that money. You don't really want to have to mow a lawn for free for six months just to acquire a new customer. Talk to a few lawn care business owners and you will find that the price for one customer is usually calculated at a rate of around four weeks of revenue. Depending on who you talk to and the variables involved, this number can go as low as two weeks revenue or as high as eight weeks. There are also other ways of doing the calculation such as paying a percentage of gross annual income. These other common methods usually produce a similar value anyway. Many factors can influence this value though such as if there is a contract in place and how competitive the local lawn care market is. Most lawn care business owners are honest in the way they go about selling their accounts. However, some desperate or dishonest lawn business owners may try to take advantage of you. Therefore, you must be aware of some of the common scams and rip-offs before you buy accounts from another business. Sometimes it pays to have a sneaky mind when you are doing business. Try to get inside the mind of a con man and imagine some of the ways to cheat people by selling them accounts. Once you anticipate some of the common scams you can then set out to protect yourself. The most common scam is the 'fake account'. This involves the seller having somebody pretend that they are currently one of their customers. The buyer then makes the purchase only to find that the customer cancels within a short period of time. When buying a lawn care account you should always request a personal introduction to the customer from the seller. You should go with them to the job at least once to see them service the lawn and to find out if there are any specific requirements for that job. Make sure that you are aware of the agreement that the seller has with the customer. You should be in agreement with the existing price and conditions or ask the customer if they would be happy to make changes. If you have to raise prices on a newly acquired customer immediately with no long standing relationship in place then there is a good chance that you will lose them. Try to narrow down the exact reason why the seller wants to get rid of the accounts in question. One good question to ask is how long the seller has been servicing the accounts that they have for sale and if they have had any problems with any of the customers. Look for some kind of proof that the seller has made the income that they claim from the accounts. Ask the seller to provide an account history of each client and take note of whether they pay on time. Make sure that you have a solid agreement in place for the transfer with everything between you and the seller in writing. The agreement could specify that the buyer would be eligible for a partial refund if the customer cancelled the service within a specified period of time. Preferably you can strike a deal for only partial payment up front with the balance deferred until a later date. If a certain number of clients had dropped off by the time that the balance became due then the buyer would not be obligated to pay the full amount. Where Can You Find Accounts for Sale? As you will be looking to purchase lawn care accounts in your local area you will want to make enquiries at the local level. Contact other lawn care business owners in your area and let them know that you may be interested in purchasing accounts from them if they wish to sell for any reason. You may also find classified advertisements in local newspapers or other publications. Do a search online using relevant keywords and you may just get lucky and find someone in your area with a route for sale. Sites like Craigslist.com sometimes list accounts for sale. There are even sites specializing in this area such as TradeYourAccounts.com which facilitates the buying and selling of all kinds of service accounts. Buying customer accounts can be an easy way to start a lawn care business or expand your existing operation. If you are new to the business you can get some experience doing lawns and learn how to run your business before you start your own marketing efforts. 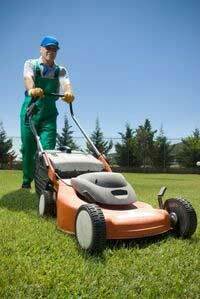 If you have an existing operation then buying lawn care accounts may offer you a quick and easy way to expand.